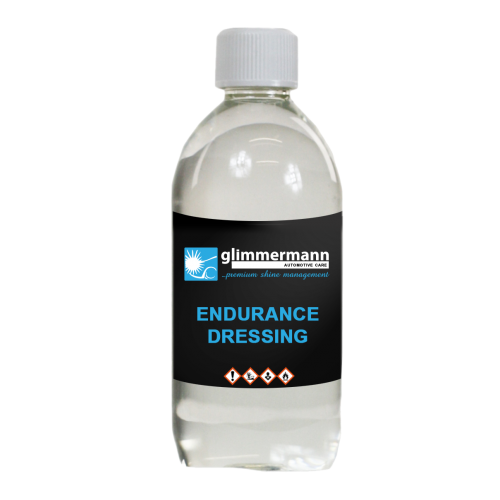 A high quality professional dressing that can be applied to all vinyl, tyre and trim around the vehicle. It has been specifically formulated to provide a long lasting, high gloss finish that gives your car that extra special look. It is unaffected by rain and lasts for several weeks. Simply dry the tyre, shake bottle thoroughly and apply using a brush. A waterproof, long lasting dressing will be left. Apply a second coat for a high gloss shine. Always replace cap when finished using product.